The standalone sequel to the acclaimed illustrated chapter book, My Happy Life (a New York Times Notable Children’s Book). 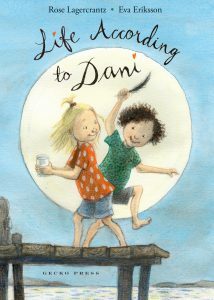 Dani’s been trying her best to stay happy ever since her best friend Ella moved away. But when some girls in Dani’s class start being cruel to her, it starts a chain of rather unhappy events… It would all be okay if only Ella would move back. This is an early chapter book with line drawings by Eva Eriksson on every page. It is a sequel to the popular My Happy Life but can be read on its own. This wonderful book takes us into the life of a little girl who is struggling. She is trying very hard to hold onto the one thing that makes her feel happy; the memories of a precious friendship. Though Dani is lonely, she ends up learning that she is not alone. She has allies who believe in her and who love her. 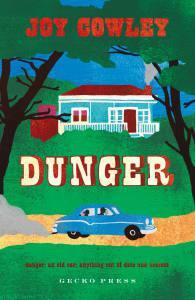 A story of rare depth that acknowledges the complexities of elementary school life. It sweeps across a thorny spectrum of emotions – anger, sadness, loneliness, jealousy, disappointment, despair, hope and contentment … Beautiful and relevant. 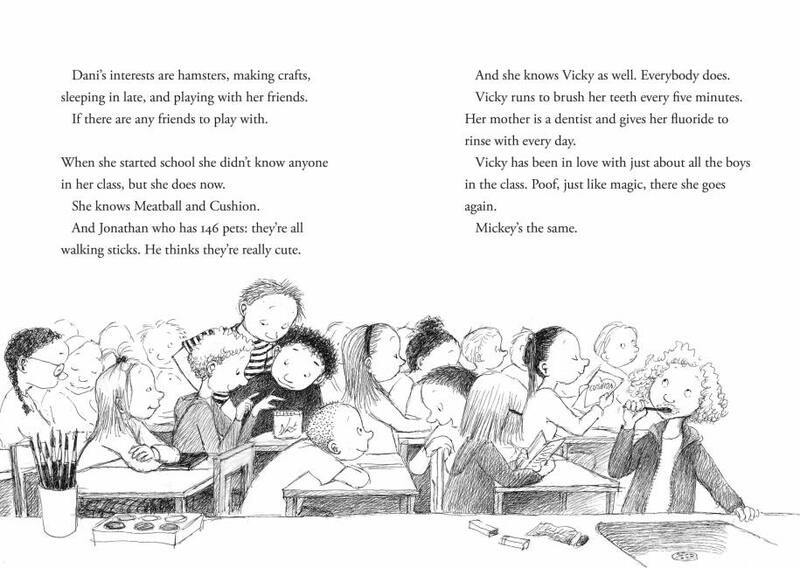 A delightful story about being sad and happy, best friends and hopefulness. The sentences are diamonds and pearls and emeralds on the page … shining and lovely. An altogether gorgeous, moving story. Its emotionally resonant story is universal … Keep this volume in mind as an accessible chapter book for younger children and a riveting readaloud choice for the classroom. Lagercrantz’s text is funny, real, and full of fresh, convincing detail. Eriksson’s line drawings brilliantly portray facial expressions and body language … Salty and sweet, this is umami for the emerging reader. 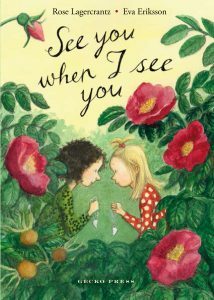 Oh, what delight … long-time Swedish collaborators Rose Lagercrantz (who writes with such open clarity) and Eva Eriksson (who draws with such vibrant whimsy) bring another Dani-adventure to the page … [a] story of transforming a difficult situation with optimism and laughter. Eriksson’s black-and-white sketches complement Lagercrantz’s simple, yet engaging writing, effortlessly pulling you into Dani’s world. If you like funny books, and books that are a little bit sad, this book is for you … Go and buy this book, what are you doing just sitting around, it’s the holidays, go and read this book! 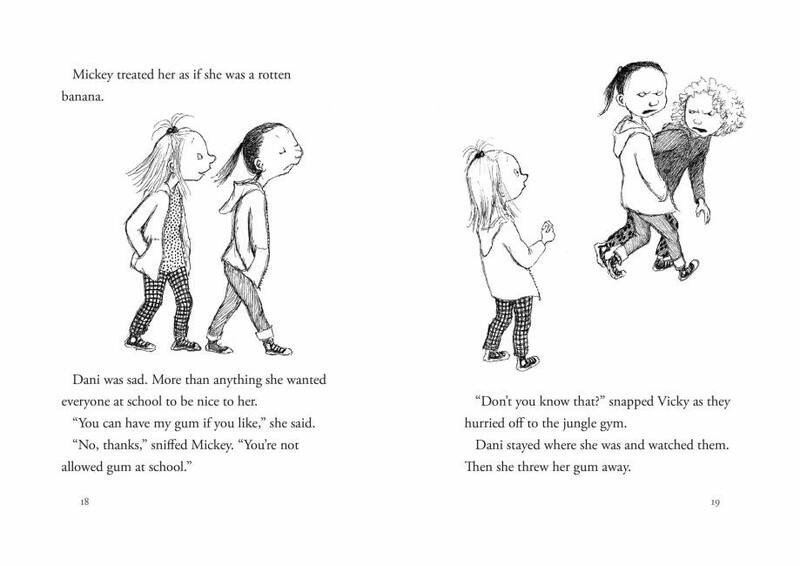 Simply told in easy language and short sentences, with Eva Erikson’s illustrations enhancing the friendship between Dani and Ella and showing the seriousness of the bullying. Writer and illustrator in perfect harmony. A delightful book for both beginning readers, and those, like me, who are a little further on in their literary journey. Readers’ hearts may swell with joy at Dani’s positive outlook … This short chapter book with its lovely sketches of Dani’s world is perfect for sharing through a read aloud. Full of nuance and subtlety and there’s plenty to talk about with your child. This book is perfect as a first `chapter’ book for early readers and was a lovely reading book for my daughter. A forthright early chapter book about resilience. This deeply respectful book validates and celebrates the daily challenges of being a child in today’s world. Eriksson’s plentiful black-and-white line drawings expressively show joy and distress and perfectly complement the story. Lagercrantz has the ability to develop her characters fully, while keeping the story approachable for young readers just wanting to tackle chapter books. A beautifully illustrated children’s book … Dani was a really sweet character and convincing in her actions … The illustrations were absolutely beautiful and captured the text perfectly. An impressive early chapter book, with plenty of depth … Simply told in easy language and short sentences … Writer and illustrator in perfect harmony. This sensitive tale gives a perceptive insight into a child’s thoughts and experiences … The characters’ expressions and body language convey the classmates’ moods to perfection … Early readers will enjoy this quality chapter book. Delightful humour and a wonderful sense of adventure surrounds Dani and Ella’s relationship … particularly good for a small group/classroom reading and discussion situation … a good read for any child struggling with life issues and would also suit a situation where a concerned parent needs a discussion opener. Dani loses none of her charm and exuberance in this new title … a wonderfully easily accessed story with really charming illustrations. Handles issues of bullying, friendship and optimism with real understanding of children’s emotions. [It] will captivate readers aged 5 plus. This is a delightful follow-up to My Happy Life but also a great stand alone. I think this is ideal for 5 -7 year old readers looking for a first chapter book. 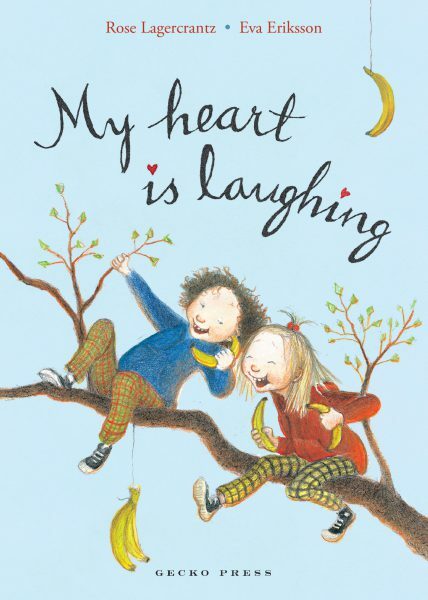 My Heart is Laughing is a perfect chapter book, the ideal bridge between picture books and novels. 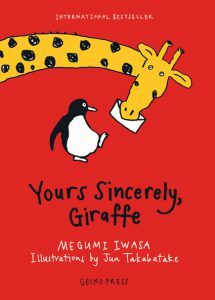 It is also a very funny story, with a strong appeal for young readers. 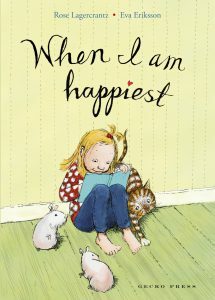 Another adorable book from the author and illustrator of My Happy Life. 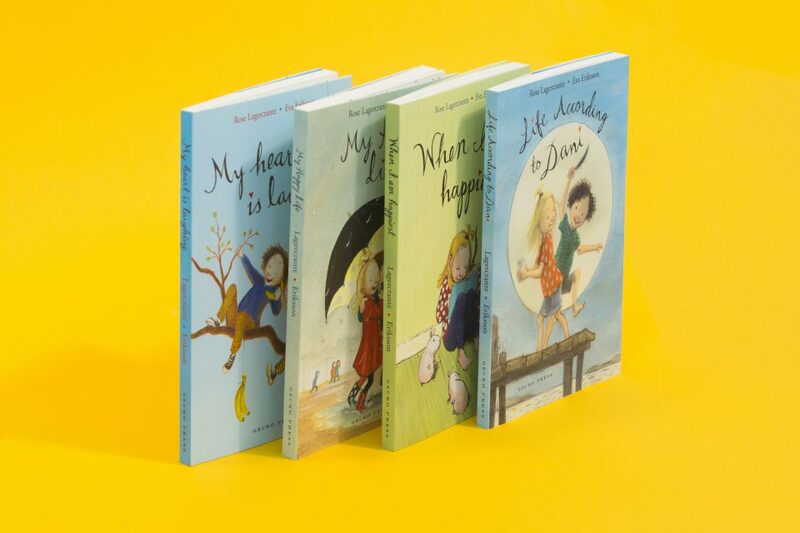 These books are just the best … perfect as a read-aloud for 4-up and a read-alone for 6-8yrs. My Year 2 class loved both ‘My happy Life’ and ‘My heart is Laughing’ at the beginning of the year. I read them back to back and they howled with dismay whenever I stopped reading them. They identified with all the friendship issues and were joyful along with the girls in the story. They really connected with the story and we have referred back to the characters all year, the playground behaviours and what being a good friend really means. Following my reading of it, the book has passed from child to child and is in demand. This book inspired my children to read themselves. We are so looking forward to the third book coming later in the year.